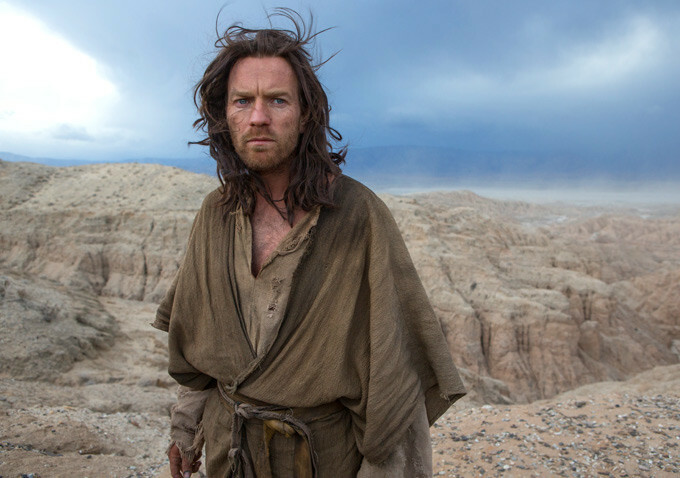 The eternal struggle between good and evil takes a dull detour in Rodrigo Garcia's sparse, The Last Days in the Desert, a film which boasts Ewan McGregor in the mother of all dual roles. 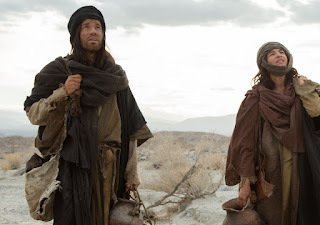 He plays both Yeshua (the Hebrew name for Jesus) and the Devil during the former's 40 days of fasting and prayer in the harsh desert, but despite the actor's committed performance and breath-taking imagery by unrivaled cinematographer Emmanuel Lubezki, the film is so slow and distant it's more likely to test one's patience than their faith. While McGregor's twin performances is the most obvious hook, this isn't really about Satan's attempts to sway Jesus off the righteous path. Instead, it's a thoughtful examination of the bond between between fathers and sons, which as one could imagine would be complicated for the son of God. The film begins in the deliberate fashion it will maintain throughout, following Yeshua as he makes his way slowly through the harsh landscape, crying out for his father's presence. But an answer isn't forthcoming, suggesting the difficult communication between a father and his son. That concern is seen on a more personal level when Yeshua encounters a helpful family just as he's preparing to return to civilization. The mother (Ayelet Zurer) is dying of a mysterious ailment, while her husband (Ciaran Hinds) struggles to communicate with their headstrong son (Tye Sheridan), who hopes to leave their humble life of goat-herding behind. Through his quiet, intimate interactions with them Yeshua begins to reflect on the problems he has with his own father. His conversations with the family and the personal reflection they inspire are far more intriguing than the Devil's manipulations. As he tries to convince Yeshua that the family is destined to fall apart tragically, their debates are often too metaphorical to invoke much of an emotional reaction. Basically, the film is too aloof for its own good. It's as much about the things that go unsaid between people who love and hurt one another as what is vocalized. That along with Lubezki's gorgeous, elegant cinematography will be enough to cause some to consider their own family bonds. For them, Last Days in the Desert may hold special resonance, but others hoping for boldness in the vein of The Passion of the Christ or even The Last Temptation of Christ will find this Biblical journey too muted.